This saltwater quality guide is an explanation and overview of terms like pH, nitrite etc, ideal levels and how to achieve them. 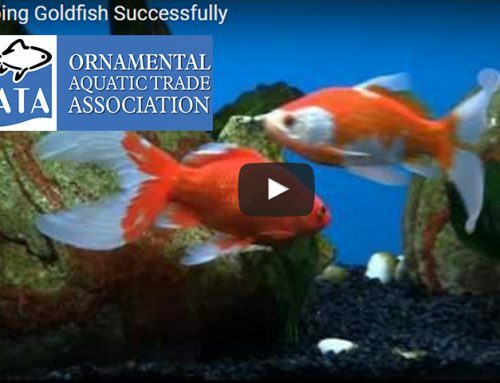 A high standard of water quality is the key to a healthy and successful marine aquarium. Many health & algae problems are caused by unstable or less than ideal water quality. It is important to test your water frequently, especially when trying alter water chemistry, or tracking down the cause of any Problems. Water quality is rarely stable, even in a well established environment there are many factors that cause it to change or deteriorate. These include, but are not limited to: stocking level, age of aquarium, maintenance routine, size & type of fish, feeding, etc. When we test your water this it is a snapshot of the water quality at the moment the water sample was taken. We are only testing for The most common water quality problems, it is not a complete analysis of your water. There are many factors we cannot test for that could adversely affect your fish or corals, these include; oxygen, water movement, lighting, temperature & toxins foreign to your aquarium that would have an adverse affect on your fish e.g. pesticides. For us to test for the nine parameters below, with accurate kits will cost £16.50, or £2.50 per test. Alternatively you can purchase your own test kits in our dry goods area. Prices for each kit start at around £10. Our staff will have marked the above chart with the results obtained from your water sample. They will give you a brief explanation of any problems they have found along with any remedial action required. Overleaf is a more detailed explanation of the relevance of each of the water quality parameters above, as well as further information on how to make any necessary improvements. This is extremely toxic in marine aquariums where the pH should be above 8.0. Ammonia is excreted by the fish primarily through their gills. A well established aquarium with an adequate surface area to be colonised by Nitrosomonas (good bacteria) will not have any ammonia. These bacteria mineralise the ammonia into slightly less toxic nitrite. The most common reason for the presence of ammonia is a new aquarium with insufficient Nitrosomonas to cope with the waste being produced by the inhabitants. Other reasons for high ammonia include, overfeeding, overstocking, stocking too quickly, unnoticed dead fish, & insufficient filtration. Ammonia should be kept at zero at all times in a marine aquarium and can easily be monitored with a Seachem Ammonia Alert. The only way to achieve a low level long-term is by the presence of a sufficient good bacteria (Nitrosomonas) to mineralise all the waste produced. In an emergency a partial water can help and the addition of Prime will neutralise it for up to 48 hours. Nitrite is produced when the Nitrosomonas (good bacteria) mineralise highly toxic ammonia into less toxic nitrite. As with Ammonia the level should be as close to zero as possible, but due to the presence of salt in a marine aquarium, this reduces its toxicity dramatically. Most marine fish can tolerate some nitrite, although this does indicate that something is wrong in the aquarium and its causes should be investigated immediately. The causes of high nitrite are the same as high ammonia, as are the ways to reduce it. This is the end product of the filtration process caused by Nitrobacter (another type of good bacteria) mineralising Nitrite. Relative to ammonia & nitrite, nitrate is harmless in low levels. It cannot be broken down further by conventional filtration systems, one of the easiest way to maintain low nitrate is frequent partial water changes, light stocking and frequent, but small feeds. The lower the level of nitrate in a marine aquarium the better, for fish only systems aim to stay below 50ppm, for a reef aquarium try and stay below 10ppm. Delicate species may require even lower levels. 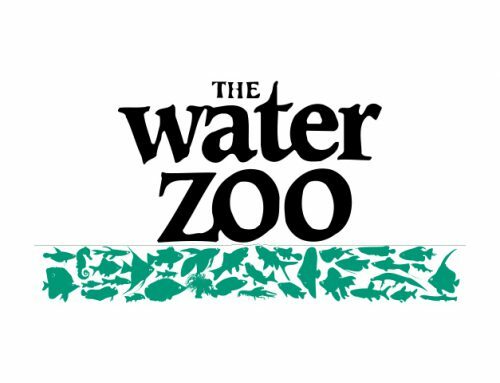 For more details on nitrate and its control, see The WaterZoo guide to nitrate. This is available free of charge on request, or at www.waterzoo.co.uk. pH is measured on a scale of 0 to 14 with 7 being a neutral value. If the pH level is below 7 it is acid, if above 7 it is alkaline, with 7 being neutral. The scale is logarithmic, a change from 6 to 7 is an increase of 10, a change from 6-8 is an increase of 100 and from 6 to 9 is an increase of 1000 and so on. 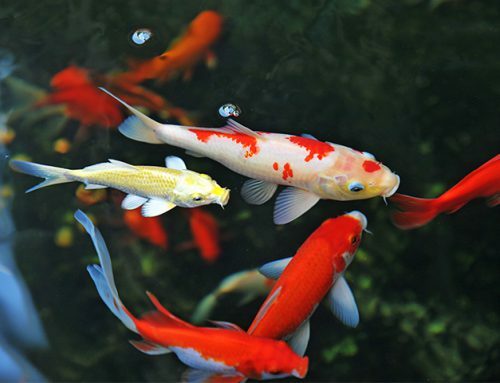 The pH is important to all aquatic organisms as it is interlinked with many other water quality parameters. For example a high pH causes ammonia to be very toxic even when present in tiny quantities. Also the amount of carbon dioxide present in the aquarium will have a direct affect on pH levels. It is normal to a have slight changes in pH these are caused by algae producing oxygen when photosynthesising. These changes are small normally about 0.2 over the coarse of the day and will not cause a problem. The ideal level for in a marine aquarium is above 8, ideally 8.3, it can easily be increased by the use of a buffer, and maintaining low levels of detritus in the aquarium. Carbonate Hardness (KH) refers to the waters ability to resist changes in the pH value. Sometimes KH is called buffering capacity. KH naturally decreases with time due to natural processes and coral growth , when its level is low this can contribute to a low pH. The ideal KH value for a marine aquarium is between 8 & 12 (3 – 5 meq/l). A low KH can be easily be corrected by adding Seachem Reef Carbonate or Reef Builder. More frequent water changes will help, but most synthetic marine salts only yield a KH of around 8. Phosphate enters the aquarium primarily by feeding the fish and can accumulate at an alarming rate. It is not toxic to fish, although even low levels can cause algae problems and have a detrimental effect on corals. 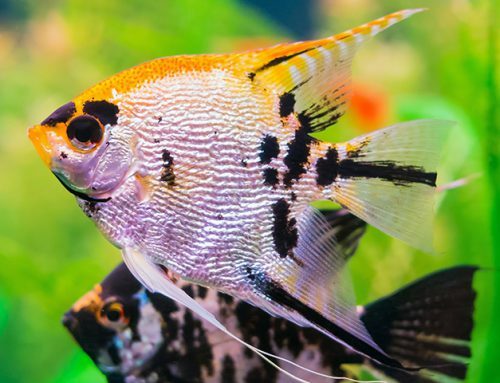 To reduce it you should use a phosphate remover such as ‘Rowaphos’ in the aquarium & make sure all water changes and top ups are done using Reverse Osmosis water that is free of all impurities including phosphate and nitrate. You should also look at reducing the amount of food entering the aquarium, less food = slower accumulation of phosphate. Is a building block for corals, and it vital for their long term success, natural sea water has a level of 420ppm, and the generally accepted optimum range for corals in aquariums is between 400 and 450ppm. 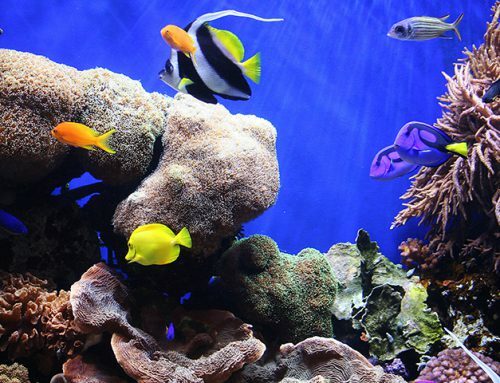 Calcium can be depleted quickly in well stocked reef aquarium, but can easily be replenished and maintained by the frequent addition of a Calcium supplement e.g. Seachem Reef Complete. Is the one of the most abundant elements in seawater, and is important for coral growth, especially soft corals, as well as maintaining pH. Its level can be maintained by frequent partial water changes using a high magnesium salt, e.g. H2Ocean, or the addition of a magnesium supplement. Natural sea water contains 1285ppm of magnesium, aim for around 1300ppm in aquariums. Is the measure of total dissolved salts and is measured as specific gravity S.G. Stability of this parameter is more important than the exact level provided extremes are avoided. Natural sea water has an S.G. of 1.024 -1.026, with the generally accepted range for marine aquariums being between 1.020 and 1.028. S.G. increases as water evaporates, and can only be decreased by the addition of water with a lower salinity or freshwater. Any changes to salinity should always be made slowly. Don’t forget that a water with a low S.G. will also have lower levels of calcium, magnesium etc.